This kit provides you everything you need to polish your leather with the best archival leather dressing around. You can also consolidate abraded, powdery leather and protect broken or scratched leather. Preserve your books and make them look great on your shelves. One free month of Save Your Books Membership with purchase! 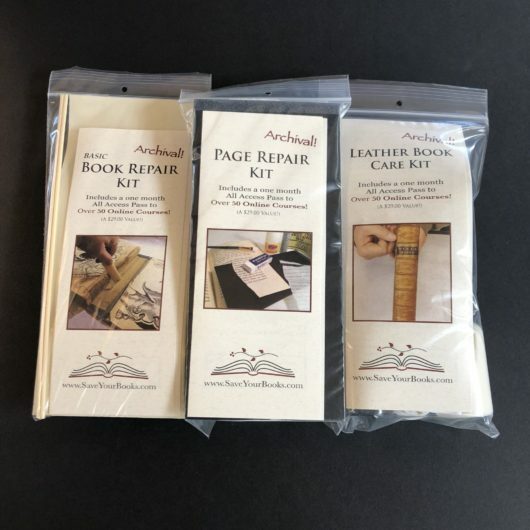 The Leather Book Care Kit comes with a one month All-Access Pass to the Save Your Books Courses! 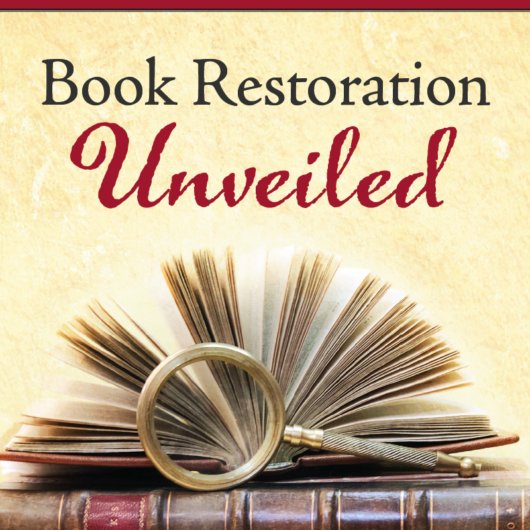 When you receive the kit there are instructions to get your one free month All-Access pass to the Save Your Books book repair courses. 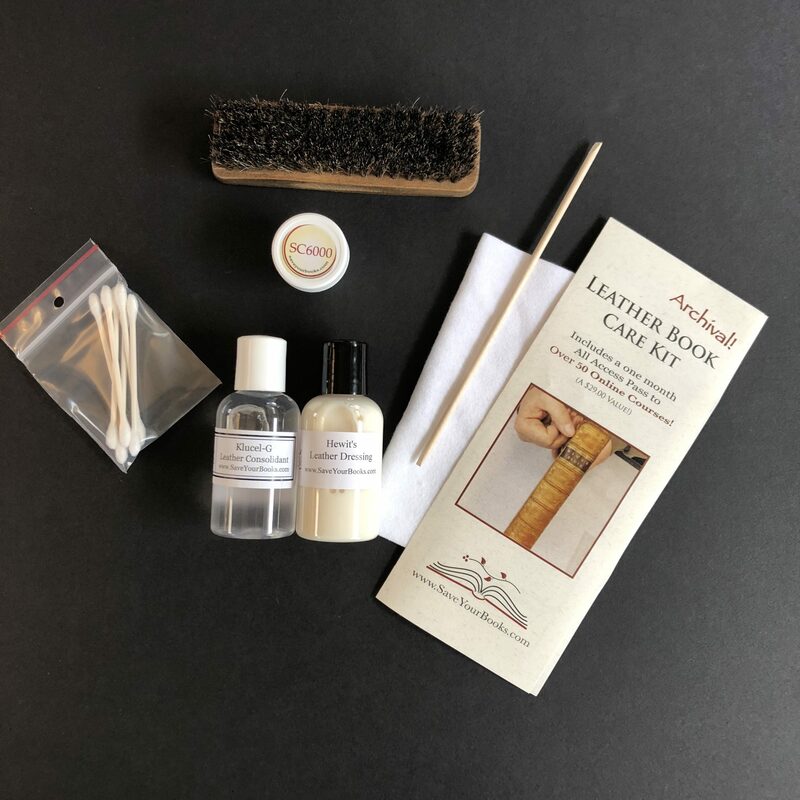 This kit provides you everything you need to practice leather book care without investing in larger quantities. Preserve your books and make them look great on your shelves. 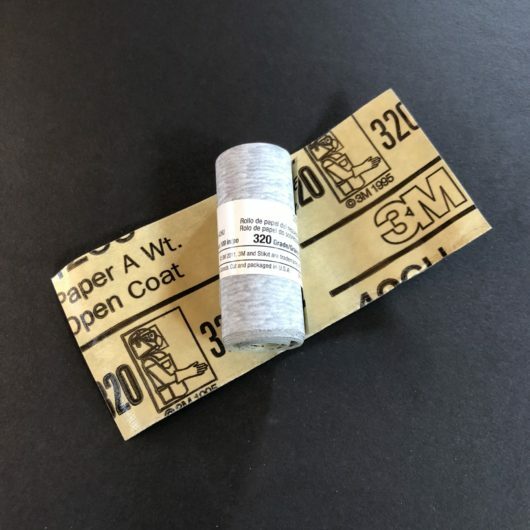 You can polish your leather books with the best archival leather dressing around: Hewit’s Leather Dressing is easy to apply and is approved by book Conservators. Consolidate abraded, powdery leather and protect broken or scratched leather with the Klucel-G and even use the SC6000 for a further coat of protection to really bad areas. SC6000 is another sort of wax. The SC actually stands for Shoe Cream but don’t be fooled into using other shoe care products. 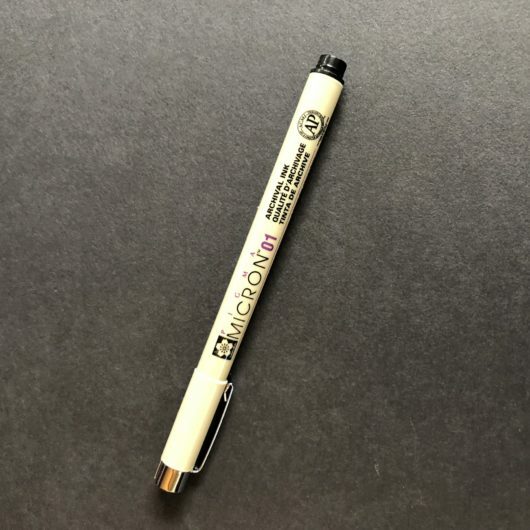 They are not all safe for use on books. After these products you can use the Hewit’s on any unbroken leather. Apply Hewit’s and let it dry then use the buffing brush. Slowly at first and then a bit more firmly. You do have to be careful not to brush off any loose pieces. This kit can only be shipped via Ground Transportation because of the Klucel-G.